To ask Sparkle Abbey questions, please sign up. My uncle had a dachshund when I was growing up, I always felt sorry for it because it's short legs. It was a good dog. Have owned one? We have not had the pleasure of dachshund championship, but have a number of friends who have. They were a great source of helpful…moreHi Barbra! What made you want to write a book about greyhounds? 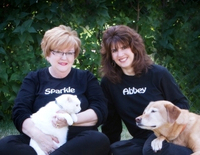 Sparkle Abbey We're testing out the Ask the Author feature on Goodreads. How fun is this? Readers can ask and then we get notified there's a question waiting for…moreWe're testing out the Ask the Author feature on Goodreads. How fun is this? Readers can ask and then we get notified there's a question waiting for our response. Just in case you've not yet picked up this fun mystery - Kitty Kitty Bang Bang is only $1.99 in Kindle and all other ebook formats until the end of the month. "What a great read! I don't know when I've enjoyed a series as much as this one." 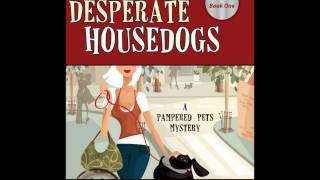 This is the last day for the Desperate Housedogs $1.99 special! The deal is available on Amazon, Barnes and Noble , Kobo, and iBooks. Sparkle Abbey made a comment on 99 Cent Sale on Desperate Housedogs!
" Karen - Project Dogway is currently out of print but should be released again soon. " Sparkle Abbey liked Sparkle Abbey's blog post: 99 Cent Sale on Desperate Housedogs! Sparkle Abbey made a comment on Breaking News: Backlist Books on Special!
" Thanks! We are FB friends! " Sparkle Abbey and 4 other people liked Sparkle Abbey's blog post: Breaking News: Backlist Books on Special! A place for readers/authors to list iTunes iBooks that they've written, are reading, or would like to read. Hey, Sparkle. Great to connect with you here. Always great to connect with a fellow author. Thanks for Friending me. Love the quotes! How's the writing going? Thanks so much for your Goodreads friendship. Anything to do with dogs is good in my book.